We have used your service often calling from Edmonton, Alberta, Canada for our daughter in Auckland and we have always been pleased with your service and your flowers. Thank you for your care in preparing the flowers. Best Value Flowers & Gifts - Starting from $39 Delivered! Sometimes you want to send just a little something - an affordable floral gift. 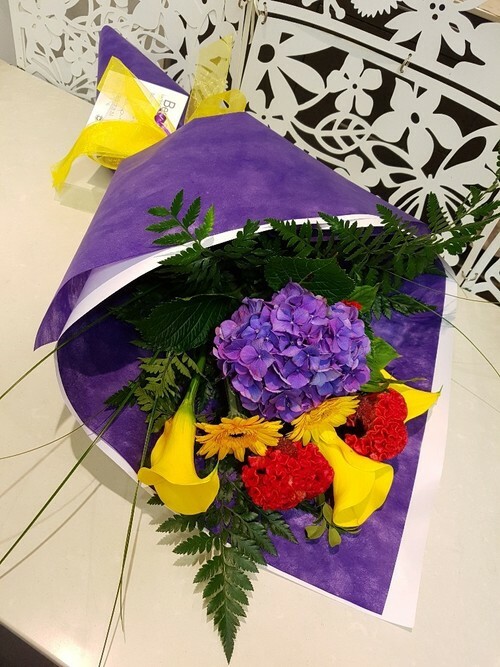 A flower delivery to put a smile on their face and let them know you're thinking of them. A gift that's not too expensive but still fresh, lovely and full of smiles. Here you will find our affordable flowers and gifts under $75 - and Don't forget FREE Delivery in Auckland. Make your choice from our best value range, order your flowers online, and send us on our way. They'll be calling you to say Thanks, before you know it! Affordable flowers delivered Auckland wide from our local florists.